It’s always the silly little projects that throw me for a loop. 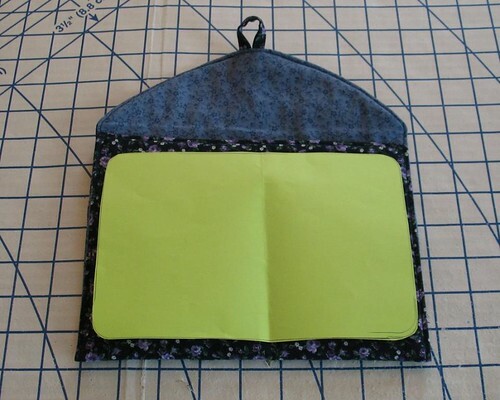 Case in point: this iPad mini cover that my mom requested. I took home a tracing of the device for reference. Throw a twenty piece pattern at me with all sorts of complicated techniques and I will happily dive right in. But ask me to cover a rectangular object with fabric and I freak out. I spent a day thinking about the possibilities. Then I did a few google searches and researched what other people had come up with. 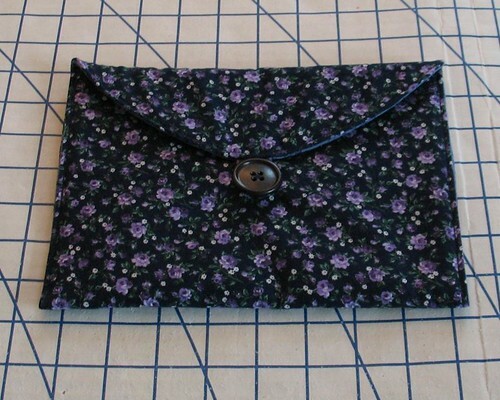 Then it came to me – make a little purse for the darn thing. 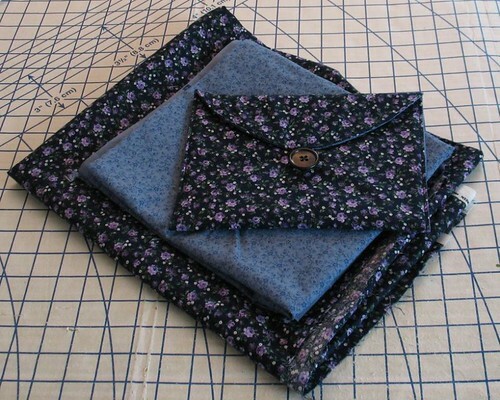 I have made an envelope clutch before, and it seemed like a good place to start. 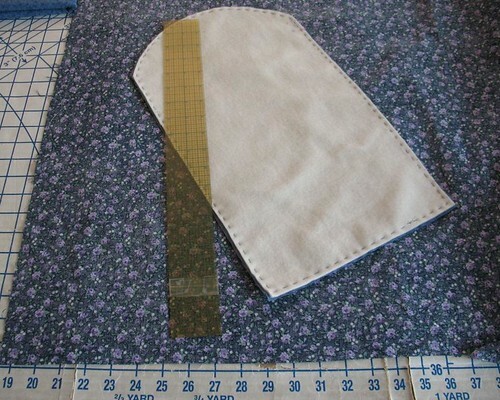 Time was limited, so I gathered some quilting cotton from the stash, and decided to add a layer of fleece (the purchase was a mistake, but it does come in handy every once in a while!). This will probably not prevent damage from any drop from a significant height, but it will prevent scratching. 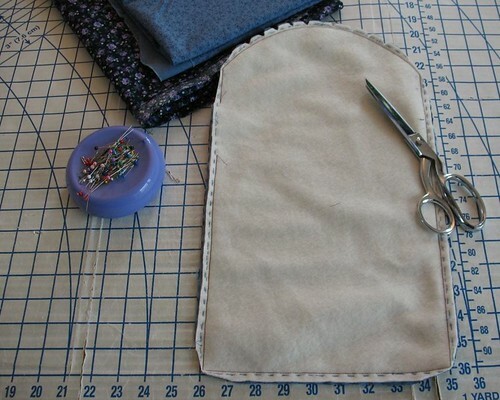 A loop and button were added as a closure. I seriously dislike velcro, and pushing down on a metal snap in the middle of a delicate electronic device seemed like a bad idea . . . So there you have it – a project that was completely out of my comfort zone. 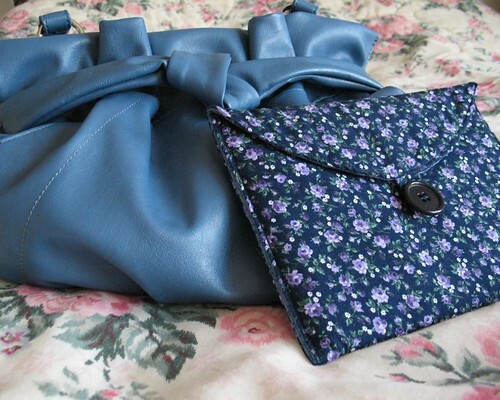 And it turns out that it matches back quite nicely to her purse! Ow love the fabric! It looks great! Hahaa - I just acquired that fabric a few weekends ago. Cute use! Very pretty, and it does its job with a touch of class. Thanks, Honey! Terrific idea! This turned out so beautifully - if I had an ipad, I'd want a very similar case for it. How sweet of you to create this wonderful cover for your dear mom. Ha, I have trouble with little projects like this too! This case turned out so nicely, though!